A V-back suit with an adidas graphic. 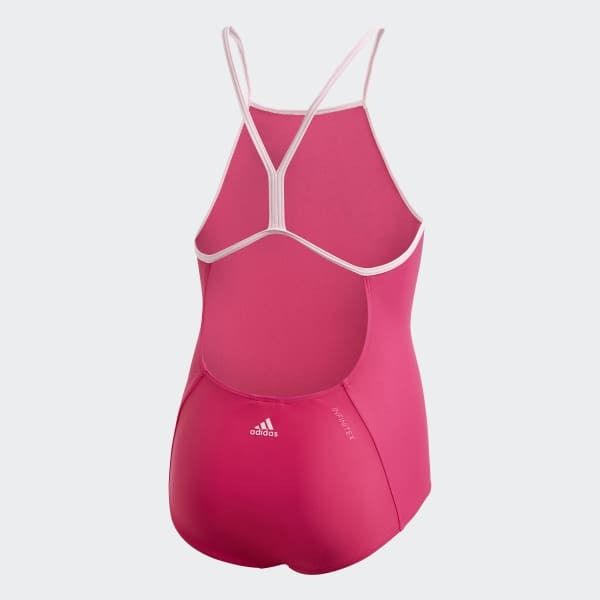 She'll play in adidas style in the pool or at the beach. This girls' swimsuit is made of soft stretchy tricot for a comfortable fit. The medium back and leg cuts provide coverage all through her activities.